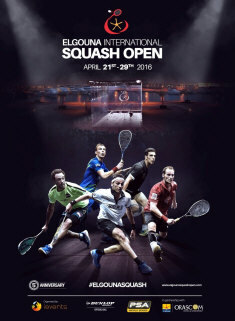 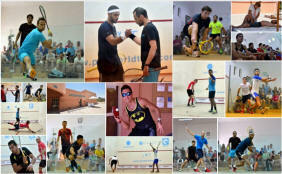 Qualifying complete, it was time for the main draw to begin - eight matches in the top half of the draw, four in the afternoon at the Movenpick Hotel, then four more on the Glass Court at the Abu Tig Marina. 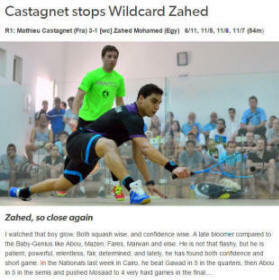 All of the afternoon matches were hotly contested as Hong Kong's Leo Au came from a game down to beat India's Saurav Ghosal, then Frenchman Mathieu Castagnet did the same against wildcard Zahed Mohamed, both matches taking an hour to complete. 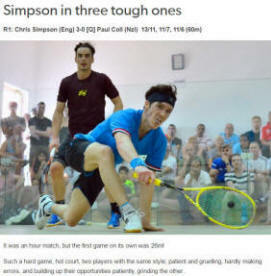 Chris Simpson took exactly an hour to beat qualifier Paul Coll, but that was in just three games, the first of which alone took 23 minutes. 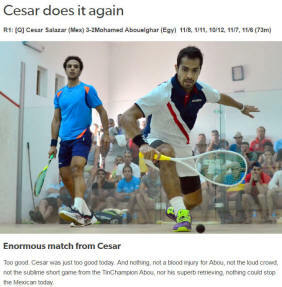 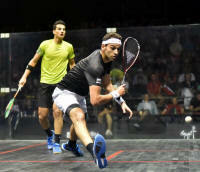 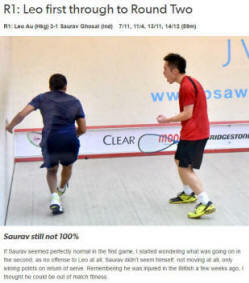 A qualifier did progress in the next match though, Mexico's Cesar Salazar producing another nailbiting five-game win., this time against local favourite Mohamed Abouelghar. 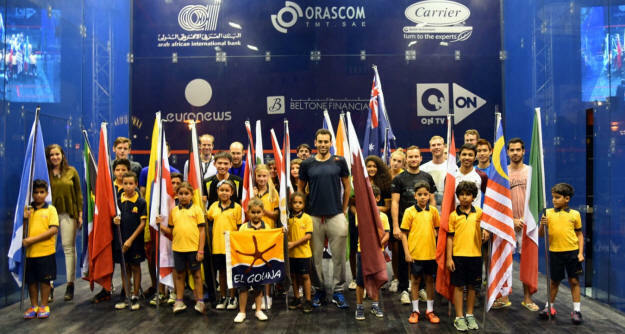 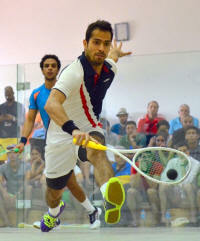 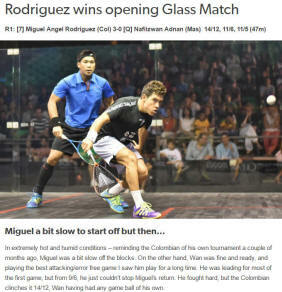 After the players were introduced at the Marina by children carrying the national flags, Colombian Miguel Rodriguez got the glass court action started with a tough three-game win over qualifier Nafiizwan Adnan. 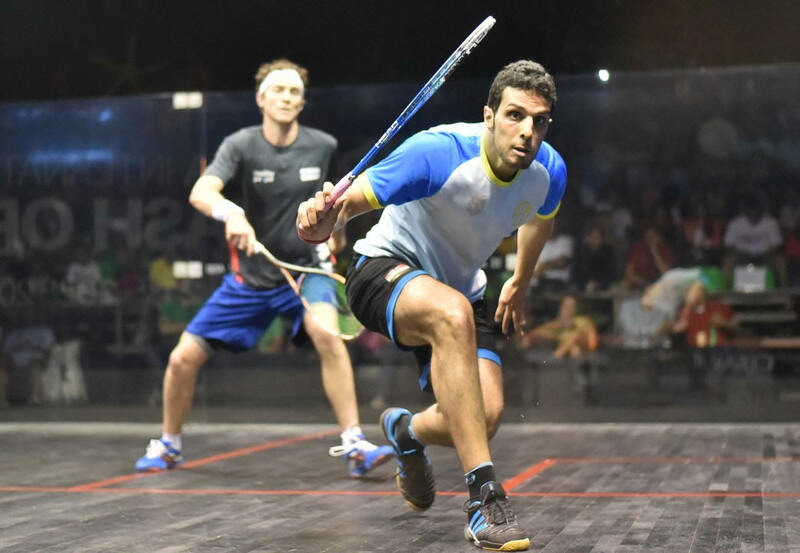 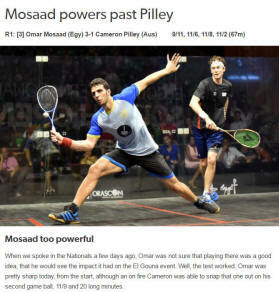 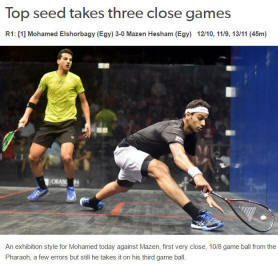 The first two Egyptian winners followed - newly-crowned National Champion Omar Mosaad recovering from losing the first game to beat Cameron Pilley and top seed Mohamed Elshorbagy winning three close games against the returning to action Mazen Hesham. 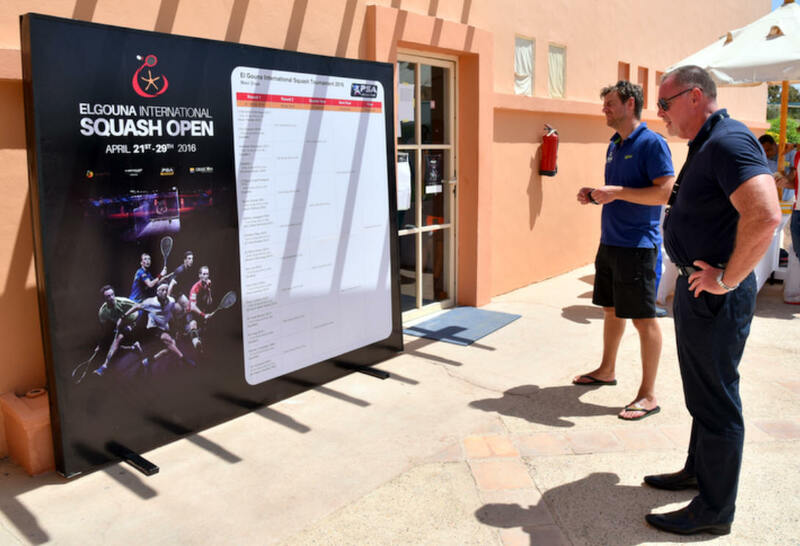 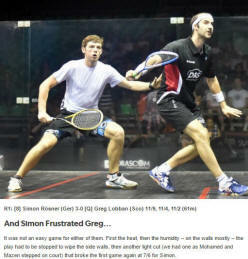 With the heat and humidity making the playing conditions difficult, Germany's Simon Rosner finished off the day with an hour-long - including interruptions - straight game win over Scottish qualifier Greg Lobban.